Katharine Norbury was abandoned as a baby in a Liverpool convent. Raised by a loving adoptive family, she grew into a wanderer, drawn by the landscape of the British countryside. One summer, following the miscarriage of a much-longed-for child, Katharine sets out–accompanied by her nine-year-old daughter, Evie–with the idea of following a river from the sea to its source. The luminously observed landscape grounds the walkers, providing both a constant and a context to their expeditions. But what begins as a diversion from grief evolves into a journey to the source of life itself: a life threatening illness forces Katharine to seek a genetic medical history, and this new and unexpected path delivers her to the door of the woman who abandoned her all those years ago. Combining travelogue, memoir, exquisite nature writing, and fragments of poems with tales from Celtic mythology, “The Fish Ladder” has a rare emotional resonance. It is a portrait of motherhood, of a literary marriage, a hymn to the adoptive family, but perhaps most of all it is an exploration of the extraordinary majesty of the natural world. Imbued with a keen and joyful intelligence, this original and life-affirming book is set to become a classic of its genre. Full of stunning landscape photographs, this tropical gardening book is a delight for anyone interested in lavish gardens and new, fresh landscaping ideas. Aimed at gardening enthusiasts, “Tropical Gardens” contains a rare glimpse into some of the most beautiful tropical gardens in the world today. 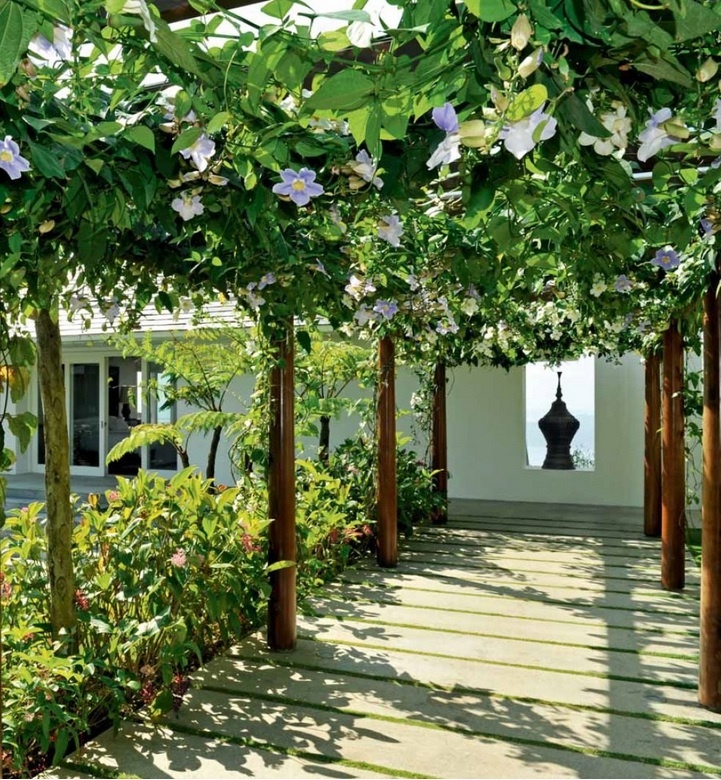 It presents 42 spectacular contemporary gardens, both big and small. The vast majority of the gardens are in private homes. Introducing a contemporary gardening style that has been evolving over the past decade, as well as more traditional formal styles, it traces the development of garden design in all its forms. Designers new and old are showcased along with a number of talented home owners. Experimenting with both indigenous and introduced species, use of hardscapes such as local stones and pavers, bonsai, clipped shrubs and water features, some work along Oriental lines, others follow Western models. 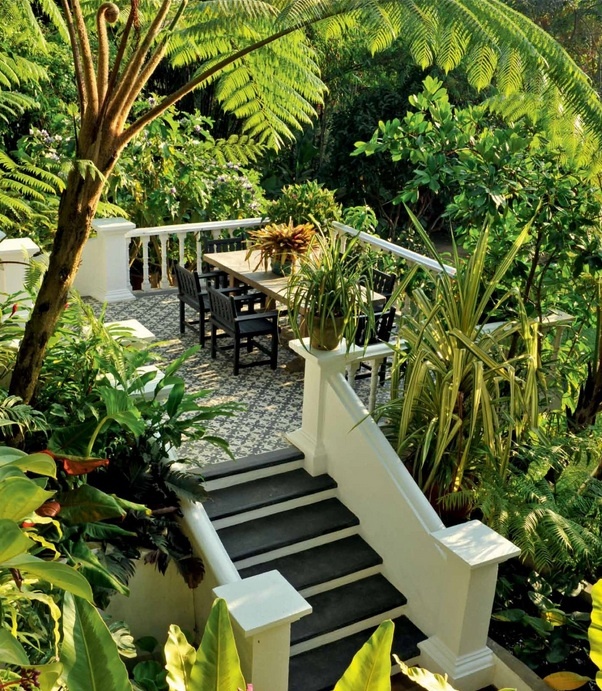 “Tropical Gardens” is a lovely introduction to tropical landscaping styles and a gardening aesthetic that combines the best of East and West with superior knowledge of plant cultivation and care. 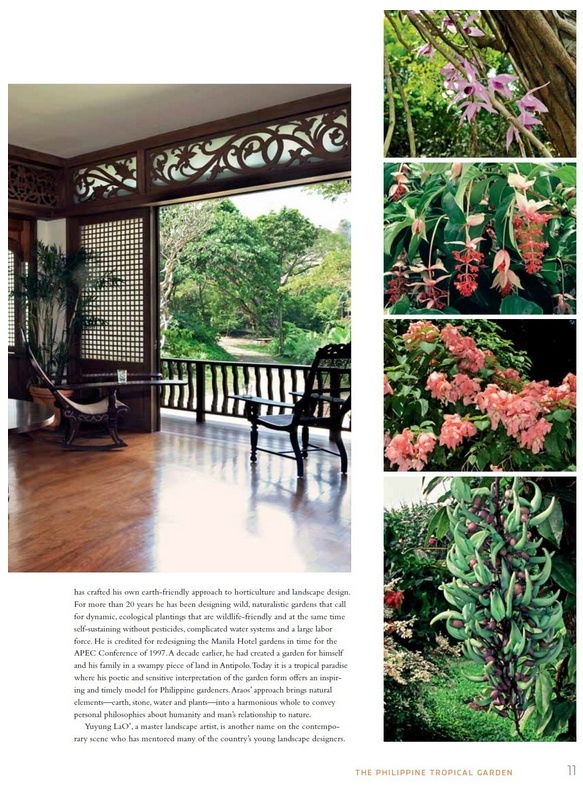 The book gives an insider’s look at tropical garden design and landscape architecture that professionals and amateurs alike will love. Ayun Halliday may not make for the most sensible travel companion, but she is certainly one of the most outrageous, with a knack for inserting herself (and her unwitting cohorts) into bizarre situations around the globe. Curator of kitsch and unabashed aficionada of pop culture, Halliday offers bemused, self-deprecating narration of events from guerilla theater in Romania to drug-induced “Apocalypse Now” reenactments in Vietnam to a perhaps even more surreal collagen-implant demonstration at a Paris fashion show emceed by Lauren Bacall. On layover in Amsterdam, Halliday finds unlikely trouble in the red-light districteliciting the ire of a tiny, violent madam, and is forced to explain tampons to luggage-searching soldiers in Kashmir: “They’re for ladies. “Bleeding” ladies.” A self-admittedly bumbling tourist, Halliday shareswith razor-sharp wit and to hilarious effectthe travel stories most are too self-conscious to tell. 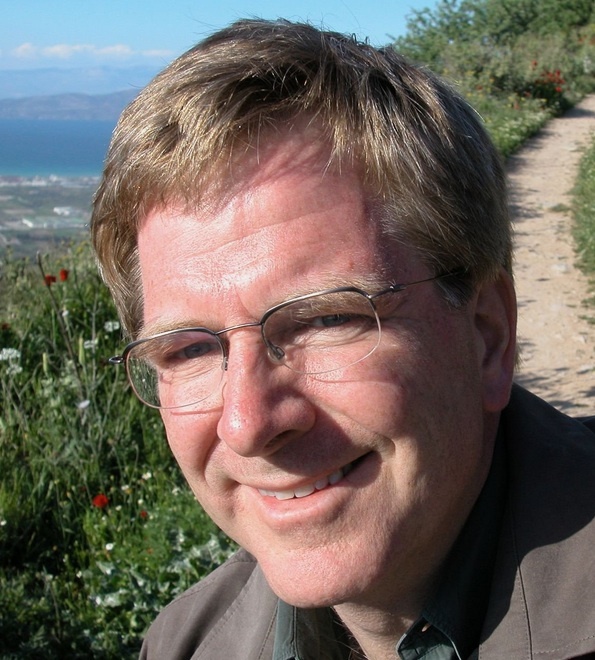 This second edition includes a new foreword from the author. In 1986, Susan Jane Gilman and a classmate embarked on a bold trek around the globe starting in the People’s Republic of China. At that point, China had been open to independent backpackers for roughly ten minutes. Armed only with the collected works of Nietzsche and Linda Goodman’s” Love Signs, “the two friends plunged into the dusty streets of Shanghai. Unsurprisingly, they quickly found themselves in over their heads–hungry, disoriented, stripped of everything familiar, and under constant government surveillance. Soon, they began to unravel–one physically, the other psychologically. As their journey became increasingly harrowing, they found themselves facing crises that Susan didn’t think they’d survive. But by summoning strengths she never knew she had–and with help from unexpected friends–the two travelers found their way out of a Chinese heart of darkness. “The Longboard Travel Guide” is the first surf guidebook written specifically for longboarders. Loaded with mouth-watering lineup photos, the book describes 100 of the best waves in the world for loggers and offers insider tips on how to ride them. From the Maldives to Australia’s Gold Coast, from Costa Rica to Fiji, from Samoa to Sri Lanka, all the classic destinations are here. A smorgasbord of less-well known areas are also included for adventurous surfers who thirst for uncrowded waves. This book covers every aspect of surf travel for longboarders: where to go, where to stay, what gear to take, how to get in shape for your trip and how to stay healthy abroad. Longboarders of all ages and abilities will benefit from the practical advice offered by a writing team of seasoned travelers and pros. Whether you’re thinking of doing a road trip in Australia, a coldwater exploration trip in Iceland, or a boat trip in Indonesia this books has plenty to soak on up. A selection of real-life traveller’s tales illustrate the pleasure and pain experienced by loggers searching for the elusive perfect wave, and the joys and frustrations of life of on the road. 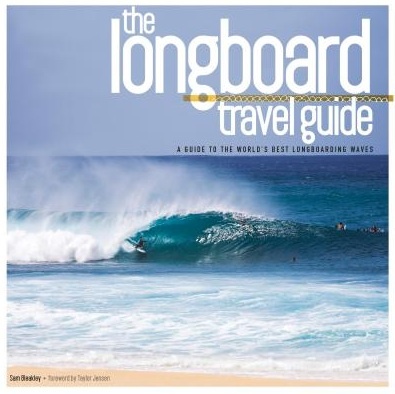 “The Longboard Travel Guide” features more than 200 color photos by some of the best photographers in the business including Chris Burkard, Alan van Gysen, Simon Williams, Tim McKenna and John Callahan.This book also includes a comprehensive directory of travel resources where readers can find information about the best surf camps, travel agencies and operators around the world. Packed with sublime photos, up-to-date info and real-life traveller’s tales, “The Longboard Travel Guide” is the essential handbook for all longboarders who yearn to find perfect waves. The staggering breadth and diversity of Yemen’s landscapes and peoples is not something easily conveyed. 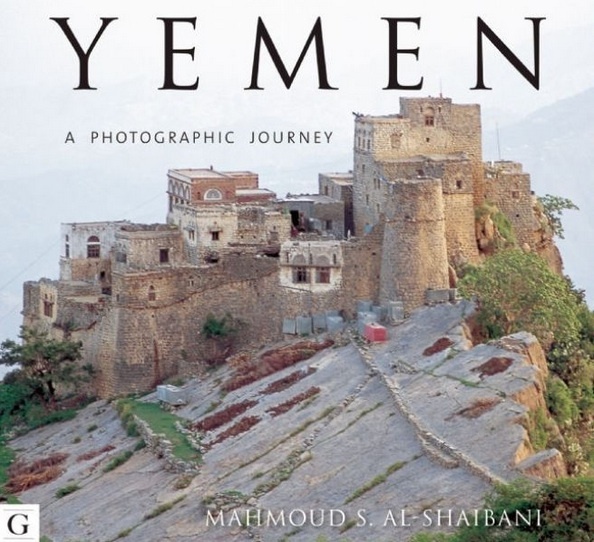 Here, in this remarkable celebration of his homeland, Mahmoud Al-Shaibani presents a breathtaking panorama that sweeps in the mountains and valleys, the plains and seas, and the myriad of different communities that live in this ancient land. His is a remarkable achievement, the fruit of tireless years traversing the country back and forth like no other. We are fortunate to be able to have this window into this rare corner of Arabiaa land of stark geographical contrasts inhabited by a people whose way of life has often scarcely changed since the dawn of settled civilization. Mahmoud Al-Shaibani has twenty-six years of experience in the tourism field and is the general manager of Universal Touring Company. He has crisscrossed the country countless times over the years and here presents his remarkable collection for the first time.